R.E. Dodson serves Buckley as its Chairman of the Board, spending the majority of his time overseeing the company finances and coaching the EXECUTIVE MANAGEMENT TEAM. Coaching a team is nothing new for R.E, as he has applied similar individual and team-building approaches to his leadership style throughout his career. After attending Texas Christian University on a Football scholarship and achieving a Bachelor’s in Education with Minors in both Biology and Business, R.E. began his career teaching high school Biology and coaching varsity football. 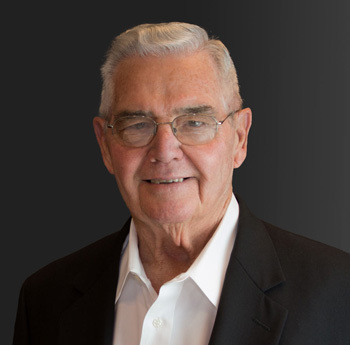 Shortly after guiding his team to winning two state championships, he founded Dodson Oil Company, which operated as a Distributor of Quaker State® Motor Oil for Dallas and its surrounding areas. He continued to own and operate Dodson for twenty years until it was sold in 1986. At Dodson, R.E. began his relationship with Buckley Oil, which at that time, was a very well-established and reputable company. As both a Vendor and a Customer to Buckley, R.E. had first-hand knowledge of Buckley’s strong reputation. After R.E. sold Dodson Oil Company in 1986, R.E. was approached with the opportunity to purchase Buckley Oil Company. In 1993, R.E. jumped at the opportunity with the ambition to continue the legacy of integrity and superior service. R.E. is strong in his faith and has been blessed to have been married to his wife Sylvia for sixty years. R.E. and Sylvia have had three children, seven grandchildren, and four great-grandchildren. He humbly attributes the success of Buckley to its family of employees who work together as a “team” with a unified goal to deliver the highest quality of service. Robert Rice stepped into the role of President at Buckley in September of 2016. He has spent his entire career immersed in the Buckley culture and incorporated its high standards for service and focus into every aspect of his job. Robert started working at Buckley in 2003 as a college intern learning all aspects of its operations until he completed his Bachelor’s in Business Marketing at Texas Christian University. After graduation, he spent six years at Buckley working as an Outside Sales Representative establishing new business in Texas and the surrounding states. He was later promoted to Sales Manager to which he served for another two years, honing his leadership and team-building skills. After serving a year as Vice President of Western Operations and a year as Executive Vice President, he was promoted to President. Today, Robert’s primary responsibilities involve overseeing every aspect of the company’s operations including sales, supplier relations, logistics, and administration. When Robert is asked about his reasons for staying with Buckley his entire career, he explains that developing relationships with Buckley’s customers and vendors has brought him great joy and satisfaction. “At Buckley, we treat both our customers and vendors with respect as they are equally valued at our company.” Robert maintains a well-rounded lifestyle that includes spending time with his wife, Cori, and their two boys. Robert also enjoys spending time hunting, fishing, and Team Roping. David Moore is the Executive Vice President and Chief Financial Officer at Buckley. 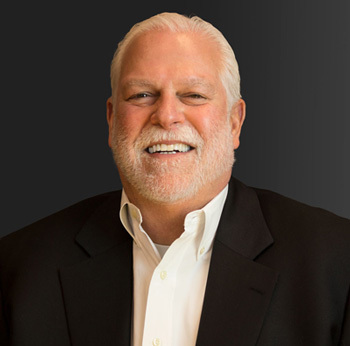 Considering his 40 years of experience working in the transportation industry, it has been a natural fit for David to head up Buckley’s finance, accounting, and operational aspects. At the tender age of 16, David spent time in the trenches learning the waste management business. His strong work ethic helped him pay his way through college where he earned a Bachelor of Finance at the University of Texas in Arlington. He started in operations at one of the largest waste management companies in the region where he quickly rose through the ranks, ultimately becoming President. David then joined Buckley team in 2012. Today, he supervises all of the operations, logistics, and finance functions of the corporation with the goal of making sure “everything gets delivered on time and that every bill gets paid on time”. He enjoys working at Buckley mostly because of the family culture that is most unique at Buckley. David and Jan, his wife of 40 years, raised two daughters and are fortunate to have three beautiful grandchildren. Jason Jacobus is the Vice President of Sales at Buckley, maintaining a strong belief that serving others is the foundation of sales leadership. 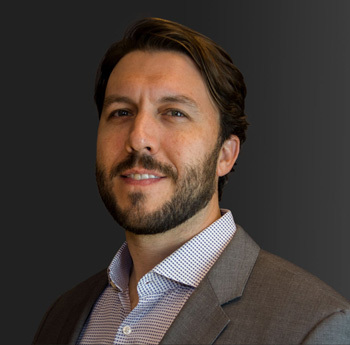 After earning a bachelor’s degree in Psychology at Texas Christian University, Jason worked with a consulting firm that focused on global sales and sales management training. After leaving consulting in 2010, Jason joined Buckley where he worked as a regional sales representative. He was eventually promoted to Sales Manager where he utilized new and adaptive techniques to streamline the sales processes and improve customer service. 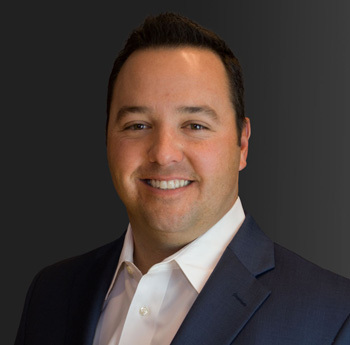 While focusing on his sales leadership role, Jason attended evening classes where he earned a Master’s degree in Business Administration from Southern Methodist University. After Jason demonstrated his leadership and an ability to generate focused growth, he was promoted to Vice President of Sales. Faith is a strong driver in Jason’s life, fueling his desire to serve his colleagues, his customers, and his community. Even with work and community involvement, he still knows what is most important. Jason loves to spend time with his wife, Caitlyn, and their two boys while mountain biking, hunting, fishing, and playing golf.